If you are healthy, your heart and blood vessels work together in a balanced manner to deliver blood to every tissue and organ in your body – keeping you alive and well. Your body has its very own pump system that involves around 100,000 kilometers of blood vessels. Your heart can beat over 100,000 times every day! Adults have an average of 4.7 to 5.0 litres of blood in their body. Normal, healthy blood pressure is around 120/80. The World Health Organisation has estimated that one in every eight deaths world-wide is linked to unhealthy blood pressure. Blood pressure is the force blood exerts on the inside walls of blood vessels as it travels through the body. Blood pressure is largely controlled by the size of the blood vessels: the wider the blood vessels, the lower the pressure. As blood vessel size reduces, the pressure increases. Imagine a garden hose; if the hose is a wide one, the pressure inside as the water rushes through will be less than if it was a much thinner hose. Unlike a garden hose, however, our blood vessels can change size to a certain extent. For example, if your blood vessels contract and become narrower then this will increase your blood pressure. Likewise, if there is a build up of cholesterol plaque or fatty deposits in your blood vessels, this will narrow the diameter of your blood vessels and increase your blood pressure. Continuous high blood pressure can damage your heart, kidney, eyes and blood vessels in the brain, so it is important to ensure that your blood pressure is maintained within healthy limits. 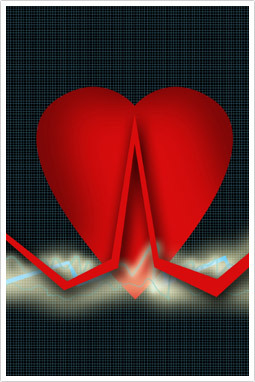 What can you do to avoid an unhealthy rise in blood pressure? Improving dietary choices. We can help you plan meals to assist your cardiovascular system. Stress – we have highly effective stress reduction programs. Fat loss programs such as the KetoSystem. Magnesium: Magnesium is necessary for the health of your muscles and nervous system. Did you know that your blood vessels are actually made up of tiny muscle cells? Magnesium helps these muscle cells relax – the more relaxed they are, the lower your blood pressure will be! The type of magnesium supplement you choose is very important, as some forms of magnesium may upset your digestive system. In this clinic we only use a high quality form of magnesium called magnesium diglycinate. This form of magnesium is very well tolerated and well absorbed. Our clinic provides a range of personalised options and lifestyle programs designed to keep your cardiovascular system as healthy as possible. If you are concerned with the health of your cardiovascular system, then come in and see us to discuss the range of options available to help you take the pressure off. Take a proactive approach and call MNMC today. You can make an appointment online, email us, or phone us on (03) 96862566. Our clinic in 49 Chetwynd St, North Melbourne, is open six days a week.